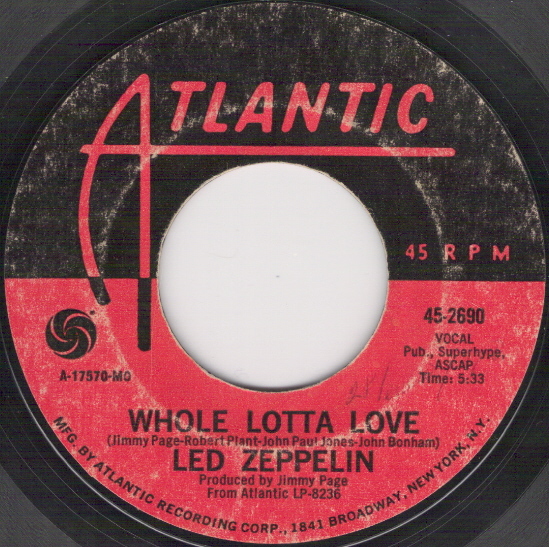 'Whole Lotta Love' is a good rocker, but it's never really caught my attention. In fact, as a child I never really listened to it much at all... That is, until I decided to give it more of a chance and discovered the absolutely pulse-pounding guitar solo after all of the psychedelic noise. There are good and bad things about this song, but overall it's a decent rocker. 'Living Loving Maid' is catchy, but it's a bit short and it feels cut off. It's more or less, an unecessary track, and I don't say that for many of Led Zeppelin's earlier creations. Two good songs, although one is significantly better than the other. I have reviewed very little singles out here (maybe four or five). The reason why I do this exercise with this huge Led Zep one is that it fully belongs to my early teens. I bought it in December 70 together with "Paranoïd". A great experience for sure. As an almost twelve years young boy, I listened to these tracks an awful lot of times without understanding the lyrics. But I really didn't care. But I spread the music within my class mates? Later on I purchased the album and got acquainted with the classic end of "Heartbreaker" immediately followed by "Living Loving Maid". For sure a great b-side. I was quite fortunate though (even if I had no clue about this at the time): Led Zep were not releasing any single in the UK. Only in continental Europe (and some other parts of the world). "Whole Lotta Love" is the archetype of the heavy rock genre: powerful vocals and great guitar riff. 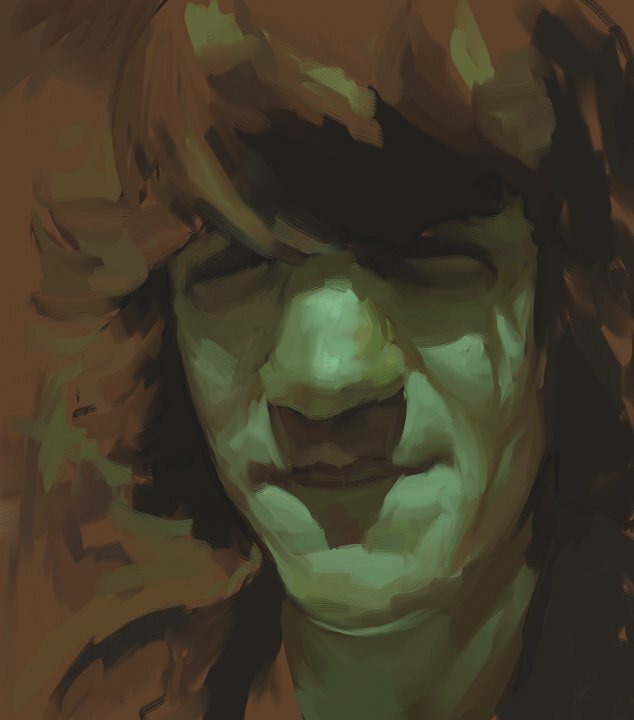 But the middle and fully disjointed psychedelic part is just fantastic. The band already had a similar approach with the great "How Many More Times" available on their debut album. The flip side is not a second-hand track either. But in those days, Led Zep didn't release second-hand songs. Let's say that I listened to this side once out of two. This is a great single which I rate with four stars. It deserves a max rating in terms of influence and great music, but I can really not consider a single as being worth as much as an album. But it was a great moment of initiation in my long musical process. Only therefore I have reviewed it. Well. 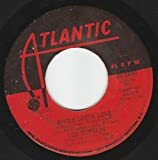 This is a review that I write with some nostalgia as both songs from this single were the first songs that I listened from LED ZEPPELIN when I was 4-5 years old in 1969-70. My father bought this single at that time,and both songs were played a lot in the radio in my city. 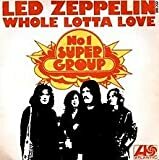 "Whole Lotta Love" is a very good song, very well recorded and mixed, and it has a lot of interesting things in arrangements and in sound terms. Maybe it is one of the "signature songs" from the early days of the band, very heavy, with great drums playing by John Bonham. I can`t remember if the original single which my father bough was released in Stereo, but as the single was lost with the passing of time, in 1977 I bought an E.P. which included "Whole Lotta Love" in Stereo and the E.P. also included "Communication Breakdown" and "Inmigrant Song" in Stereo too. A great sounding E.P. "Living Lovng Maid (She`s Just a Woman)" is another very good song from their second album, maybe more Pop Rock oriented and maybe more proper for radio playing than "Whole Lotta Love". Anyway, both songs were very popular in my country in those days and even several years later. 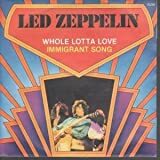 Post a review of LED ZEPPELIN "Whole Lotta Love"